Native American Venture Fund Works Closely With California Carbon Legislators to Preserve the Rights of Tribes to Develop Carbon Offsets. New York, NY, November 15, 2017	(Newswire.com) - ​​The Native American Venture Fund (“NAVF”) has presented its opinions and requests to the California Air Resources Board ("ARB") on proposed amendments to the carbon offsets provisions of the California Cap-and-Trade Regulation ("Cap-and-Trade Program”). NAVF respectfully requests that carbon offsets from tribal lands remain eligible for all of the offset targets referenced in Assembly Bill ("AB") 398. Offsets from tribal lands directly benefit disadvantaged Native American communities, as they result in lower greenhouse gas emissions nationwide. AB 398, that extends California’s cap-and-trade program through the end of 2030, determines that only half of the carbon credits from offset projects may be sourced from projects that do not provide direct environmental benefits in the state. However, in line with prioritizing disadvantaged communities, Native American or tribal lands, and rural and agricultural regions, NAVF requested ARB to allow entities to use all of the carbon credits sourced from tribal lands to comply with the offset targets (four percent and six percent) referenced in AB 398. "Without the Program, many Native American communities would not otherwise have the funds or capital to fund conservation projects or other means of lowering greenhouse gas emissions"
“NAVF applauds the State for its leadership in allowing our organization to participate in shaping future cap-and-trade legislation and current interpretation with the end goal of providing preference to Native America and First Nations as the best way to maximize the economic returns, job creation and development within their lands,” Cataldi added. The Native American Venture Fund is a socially responsible community revitalization fund and economic development organization that provides Native American communities with job creation, infrastructure, housing, education and an overall sustainable economy. NAVF Carbon Program, promotes and develops carbon offset projects on tribal lands at NO COST TO THE TRIBAL NATION. NAVF finances all of the costs of such projects for Native American tribes, and the tribes receive majority of all net proceeds from selling carbon credits that the ARB issues for such projects. 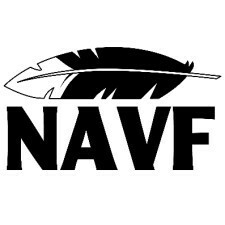 NAVF has over 30 years of experience working with Native American and the First Nation Tribes on projects that promote economic development. NAVF works closely with leaders from Native American communities who promote reforestation, conservation, and economic development. Globally Regarded Native American Leader Headlines Social Investment Opportunities within Native America as the Newest Member of the Native American Venture Fund. Native American Venture Fund will host a VIP cocktail kickoff and individual workshops with tribal leadership during the 4-day conference at the Las Vegas Mirage.